Gifted and Special Education: Is it Possible to Be in Both? 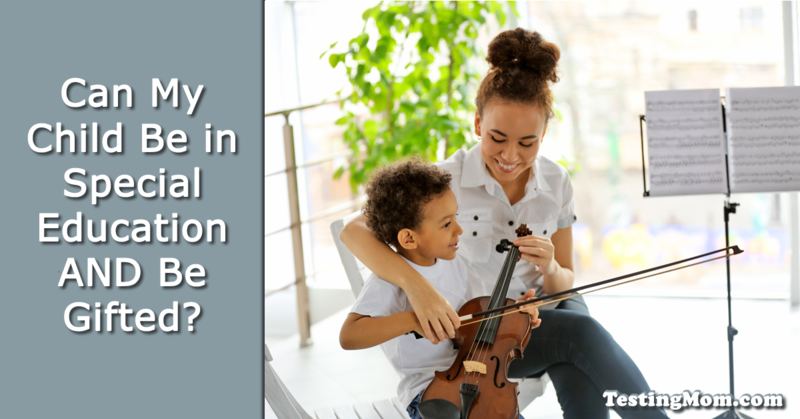 › Can My Child Be in Special Education AND Be Gifted? Can My Child Be in Special Education AND Be Gifted? Today we welcome guest author, Lisa Klemme-Flack, MSW, a mom from the northwest , who shares her story and the wisdom she gleaned from walking this road with her gifted child in special education. You may be wondering, if your child can receive both special education services and be in a gifted program? The answer is a resounding… YES! I am a mother to a gifted third grader who is also receiving special education. Here are some tips to help you navigate this journey. 1. They may get frustrated when teachers are moving too slow (or too fast). As a parent of a gifted student who is also involved with special ed., be aware that not every subject will come easy and some subjects will be “too easy.” Your gifted child might be phenomenal at English, art or the sciences. Yet, if they are also receiving special education services, they probably have some academic deficits too. My son is a math whiz but has horrendous handwriting and tends to get extremely frustrated with long writing assignments. If your student is acting out at school and/or constantly complaining of boredom, they might be frustrated because it is possible for them to feel both overwhelmed and bored at the same time. 2. They need to be both challenged and accommodated. This brings me to the next point: These kids need to be both challenged in the areas where they are excelling and accommodated in the areas where they need extra assistance. Attend those (dreaded) IEP meetings with the understanding that you have a say in your child’s education and you are their best advocate. Before entering kindergarten, my son attended a developmental preschool. When he was getting close to graduation, we were told that our son needed to wait another year because “he wasn’t ready for kindergarten.” As his mother, I knew in my heart that he was ready. Parents generally know their child the best, as they often know when they need to be more challenged or better accommodated. Advocate for them! News flash: Gifted kids are usually perfectionists. These kids are often harder on themselves than we could ever be. This presents a double challenge if they are receiving special education. As you might figure, being exceptionally gifted in one area and having challenges in another area, can be really hard on some of these kids. Fear of not being the best, could translate into not trying new things if they feel they may be knocked down from their “best/brightest/smartest” pedestal. Remind your child (constantly, if needed) that while they were born with strengths and gifts, most things must still be learned. I have told my son (numerous ways) that no one was born knowing everything. Even Albert Einstein had to learn what a noun or verb was. 4. Sometimes our kids blow us away and its okay to say so (sometimes). In our family, we try to praise the process of “hard work” over the outcome of the work because we believe putting in your best effort is more important than getting a perfect score. However, your gifted child may also need you to praise their final product as well. What if getting a perfect score on the test was easy for them and took zero effort? Yet, they still come up to you beaming showing you their paper with an “A” plastered all over it. As a parent, it’s also okay to say, “Great job!” These kids understand that getting a good grade is valuable and something to be happy about and– they want you to share in their joy!